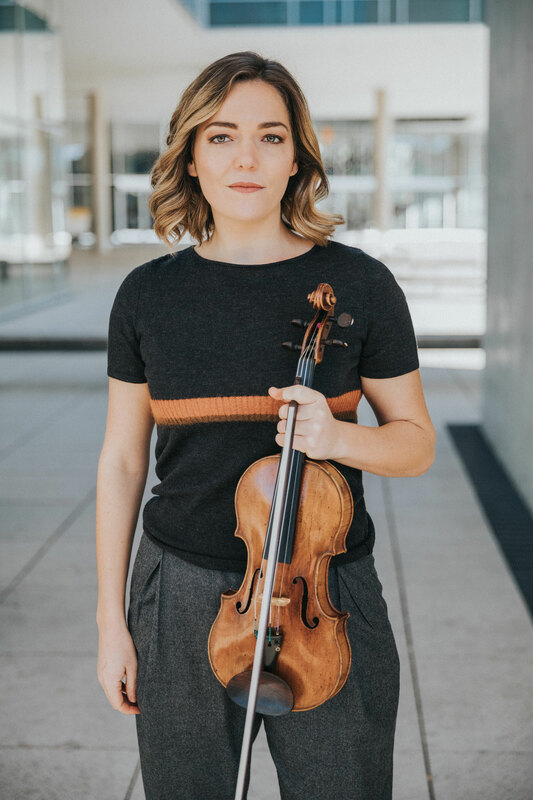 Born in Augsburg, Germany, in 1990, the violinist took her first lessons at the Musikschule Mozartstadt Augsburg with Harry Christian and continued her studies at the Mozarteum Salzburg, among others, with professor Martin Mumelter and at the Guildhall School of music and drama in London with professor Jacqueline Ross. National and international awards (2nd prize, Giovani Musicisti, Treviso, Kulturförderpreis Stadtbergen). Soloist at concerts with the Sinfonia Augustana, Augsburger Ärzteorchester at the Salzburger Biennale, Garmisch-Partenkirchener Kultursommer, Klassikfestival Ammerseerenade, BachZeit Festival and Toujours Mozart of the Deutsche Mozartgesellschaft. Various experience in playing with orchestras: with the Münchner Rundfunkorchester as scholarshipholder of the Andechs Carl Orff Academy, with Federal Youth Orchestra of the Federal Republic of Germany, with the Ensemble für Neue Musik of the University Mozarteum under conductors such as Sir Simon Rattle, Denis Russel Davies, Christian von Gehren, Marino Formenti and Reinhard Goebel. Close cooperation with the composer Wilfried Hiller who dedicated several pieces to her. Franziska Strohmayr plays a violin of Antonio Gragnani, Livorno, 1759.